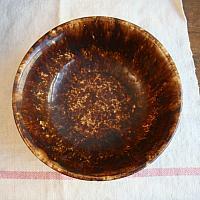 Beautiful and decorative early Yellow Ware Mixing Bowl with a luscious chocolate brown glaze with a high gloss finish. 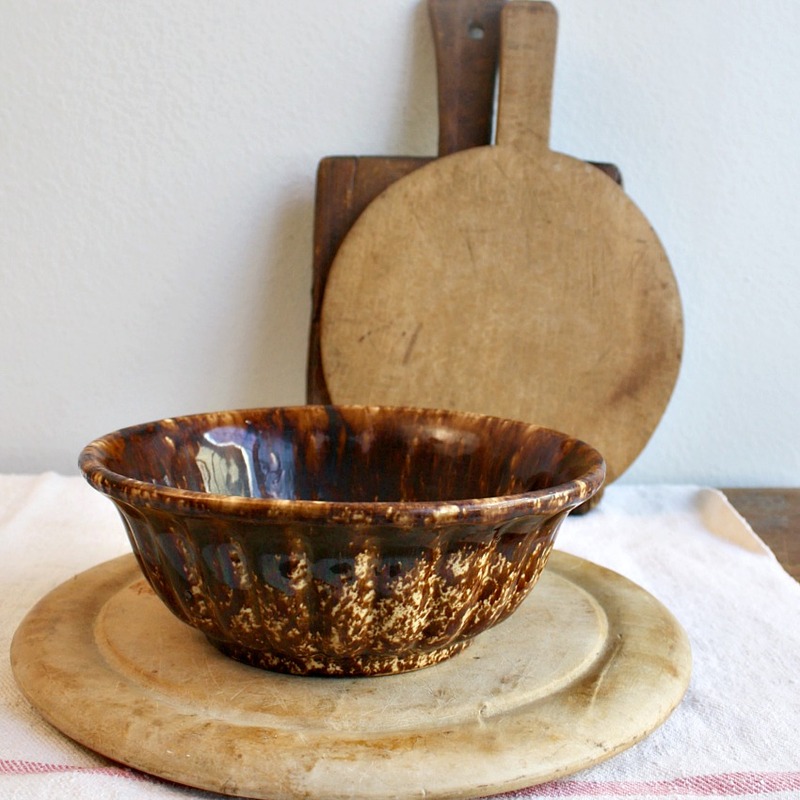 Such a gorgeous yellow ware piece, the colors are vivid and clear, the hand done brush spatter design enchanting. These are the under valued country antiques of today, sure to only go up in value as they are so charming! Unmarked, as many pieces were typically not signed as stated in Lisa McAllister’s Collector’s Guide to Yellow Ware Book II. 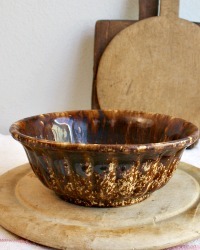 Decorative fluted design makes this bowl special, with craquelure you want to see in an early pottery piece. Perfect to display fruit, pumpkins, apples, serve bread or anything else, and to whip up your famous holiday cakes! 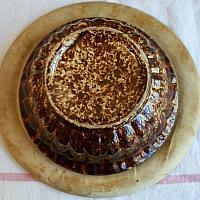 A gorgeous work of potter's art to add to your country home and display with your collection. Wear and age as shown, an old chip under the bottom rim as shown, and one glaze pop on the outside - perfectly imperfect.